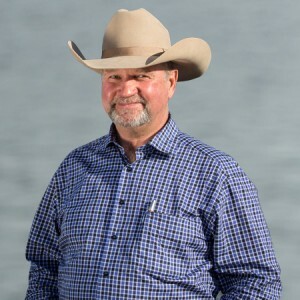 He may not have known it, but he was talking about biodiversity, which goes beyond a “mixture of grass” and includes the deep, intrinsic connections between the way we ranch and the health of fish, mammals, birds, predators, and millions of species in the soil. 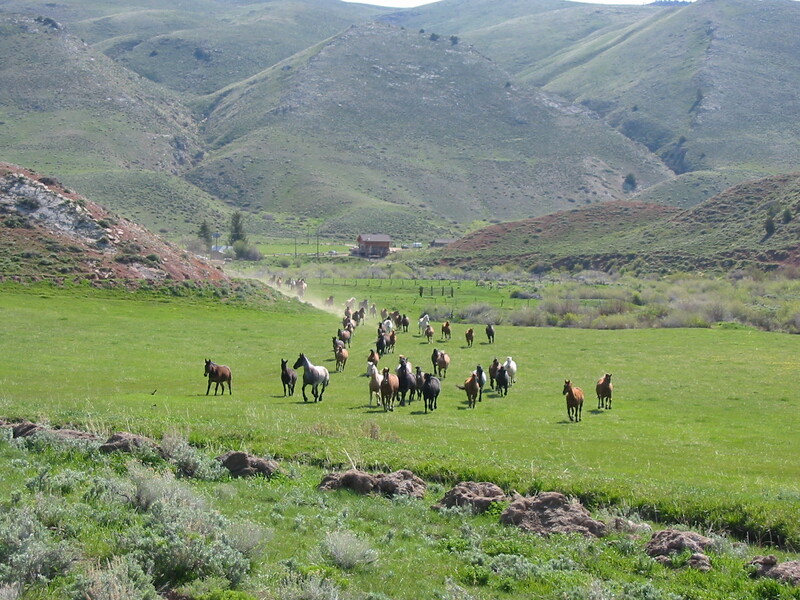 I began putting ideas of biodiversity into practice on my ranch in the foothills of Wyoming’s Wind River Mountains. Admittedly, it was difficult to shift perspective. I needed to turn loose how I was “supposed to be” ranching and watch the land change in new ways. When we increased beaver, the creatures long seen as nuisances, then willows, shrubs and moose populations responded positively. Bird populations increased by 50 percent, and the total number of species jumped 70 percent. I saw other benefits when rethinking weed management. By killing a weed, plant succession moves backwards to bare ground, which requires re-populating the area with annuals and weeds until the soil and plant complexity can support perennial plants. But I don’t have to remove the weeds. With proper time along with sequencing animal impact and grazing, the succession process will move naturally toward a perennial grass plant community. For example, Canada thistle cannot stand hot season grazing. Planning the timing of cattle grazing riparian areas during the hot season every three to five years keeps Canada thistle in check. 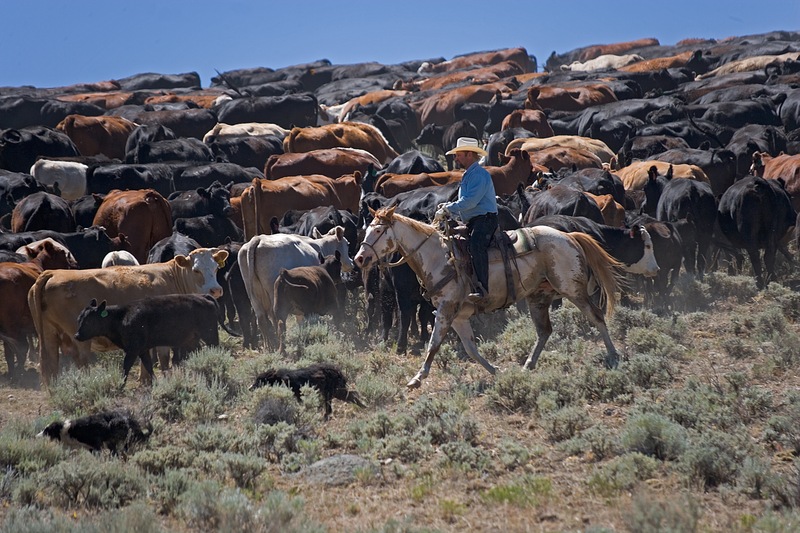 Managing grasslands with these connections in mind is called Holistic Grazing Planning. The idea is to graze with respect to how our grasslands evolved. Natural grassland ecology involves an intense period of grazing, dunging, urinating, and hoof impact followed by a long period of rest. When I first started running larger herds and moving cattle more frequently, I was concerned about increased labor cost. It seemed counter-intuitive to increase herd density. But I learned that when we concentrate cattle, we concentrate labor, which makes the labor force more efficient. Varying when I return to a specific piece of ground each year. Riparian areas, which composed 3% of the surface area of our ranch, responded quickly to these changes in management practices. That 3% of surface area facilitated 35% of our production. The more we slowed water flows and the higher we raised the water table, the higher our productivity. Reconnecting our stream to the floodplain provided the best drought insurance we could buy. The connection of the stream to the floodplain maintains a sub-irrigated riparian area, which ensures there will be no drought. When we moved to Union County, Oregon, in 2010, we bought 585 acres on Cricket Flats and 57 acres south of Union. There was a poor mineral cycle and low plant diversity. After only three years of Holistic Planned Grazing, we improved more than half the 18 land health monitoring indicators on every transect. Species diversity and plant density increased and mineral cycling improved. The soil organic matter jumped by 21 percent, and we increased the stocking rate by 42 percent on the Cricket Flat land and 66 percent on the Union land. As a result of the increased stocking rate, we used less irrigation water, which allowed us to work with The Freshwater Trust (TFT) to transfer a portion of our irrigation water instream for $405 per acre. We also worked with TFT to do a split season lease on our alfalfa field. This means we irrigate until July 15 and then turn the water back instream for salmon habitat. This gave us an income of $270 per acre, which is more than we can produce on a second cutting. We have been inter-seeding this field in an attempt to develop a plant community that will remain dormant throughout the hot season and begin growth again, with the fall rains. Because benefits from Holistic Planned Grazing are leveraged with larger herds, we are working with a neighbor to combine our herds to give us more efficiency in labor and better impact on the land. It’s like the John Muir quote about pulling on one thing in nature and finding the rest of the world attached. As ranchers, we’re always tugging. And, like my grandfather, if we begin to consider what’s on the other end, it could pay off for both our land and our pockets.